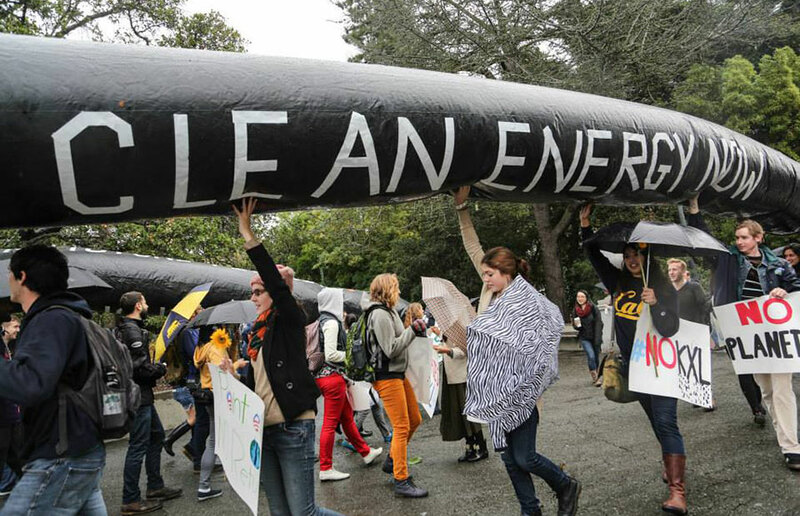 In spite of the Tuesday afternoon drizzle, about 75 protesters lined up through Sather Gate hoisting a 90-foot inflatable Keystone XL “pipeline” above their heads to protest the contentious project that would transport crude oil from Alberta to Nebraska. The U.S. Department of State is in the process of finalizing an environmental review that it commissioned about the project and determining whether granting a presidential permit would be in the interest of the nation. In March, the department released a preliminary draft of the report. The 12:30 p.m. rally, coordinated through the ASUC Office of Environmental Sustainability, featured UC Berkeley professor of energy Daniel Kammen, who has served on the Natural Resources Canada research and study team for new technologies in the past. 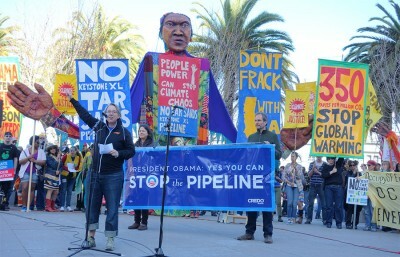 Several environmental groups, including the Center for Biological Diversity, Sunflower Alliance and 350 Bay Area, supported the event. 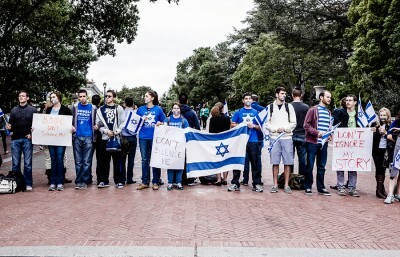 Earlier this semester, the ASUC Senate instructed ASUC President DeeJay Pepito in a near-unanimous vote to write a letter to President Barack Obama to express the ASUC’s formal opposition to the construction of the pipeline. The protesters objected to the process by which tar sands are extracted before being carried through the pipeline — a process they said damages clean water supplies and causes extensive deforestation — and see the project as a threat to the communities it will pass through. Last spring, the ASUC Senate passed a bill authored by Pack that urged the university to divest its funds from fossil fuel companies. Megan Messerly is a news editor. Contact her at [email protected] and follow her on Twitter @meganmesserly.